I have just picked up an Italjet pr80?????? I think,can not find anything about this model on the net. It is similar to pr50 but has 17 inch front wheel and 14 inch rear gold ackront rims. Alloy tank polished with yellow pannels.Blue frame with cantilever mono shock marsocci? suspension. Frame No.2323202 Engine No.80cr 2017 The engine is minerelli. Can any one tell me what year this bike would have been manufactured. What spark plug would it have had? I guess around 1980’s, because as I remember when my parents bought my the first mini bike this model was also in the bike-shop. Last year I also bought a PR6, but It’s very hard to get some pieces for such a bike. I have a PDF with tecnical sheet from an advertisement of the PR6 if you want I can send to you…please contact me in any case. If you have the intention to sell the bike, please let me Bid for it. Your bike is really in good condition, congratulations. G’day David, Thanks for posting,your bike is very similar to mine. but nothing seems to come up. 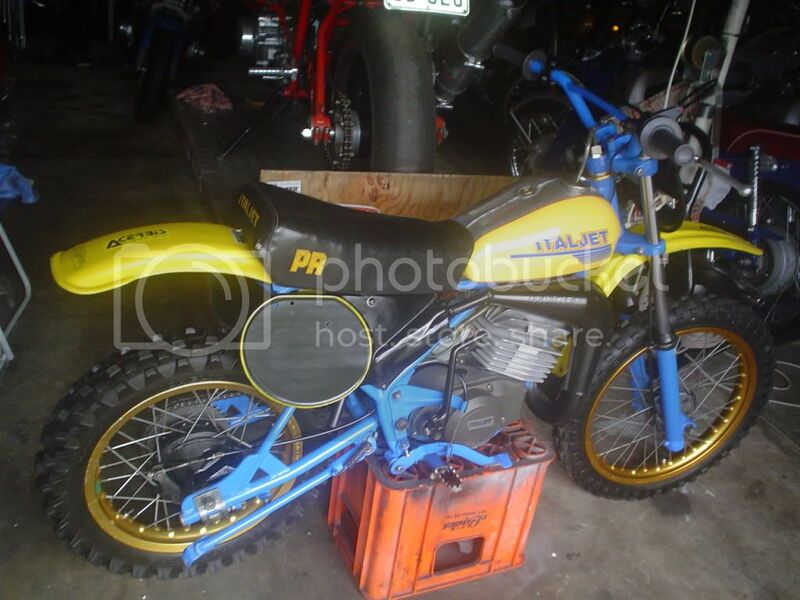 Am i looking in the right place,you call yours a PR6 is it a 50cc,is mine a PR8?? attatched to it. Where are you,I am in Australia! !